The application form is available in the University. Students can buy the application form by paying Rs. 200/- the method of payment is given on the official website. After buying the application form they should fill the form by themselves and has to be signed in the provided space. The form should be filled in capital letters. Once the application is filled with necessary details enclose the required documents with it and submit it in the University. The candidate has to fill the form by themselves in their handwriting and sign in the provided area. The application form has to be filled in capital letters. 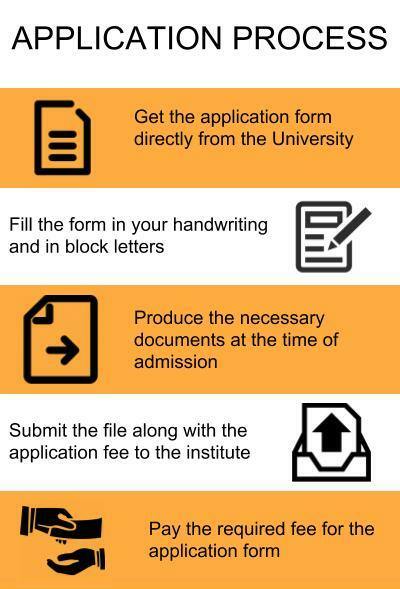 Accompany necessary documents based on the requirements and submit the form in the Unversity directly. The number of seats will be allotted on bases of the Entrance Examination like CAT/ MAT/ XAT/ JMET/ ATMA/ CET/ JEE recognized by a state/ Central Government. 40 number of seats from the total seats will be received for candidates who have shortlisted in TANCET examination. The admission process is based on the seat allottement for the candidates who have shortlisted in their entrance examination conducted by the State/ Central Government. BA in English/ Tamil Literature. Student should qualify in their HSC examination from a recognized Institution with English/ Tamil as one of the main subjects. The applicant seeking admission in BBA course must pass in their 12th examination conducted by the State Government or any other equivalent exam from a recognized Board. The student should pass in the Higher Secondary Exam conducted by the Government of Tamil Nadu or any other equivalent examination. The candidate seeking seats for the respective program shall have to pass in their HSC examination. Preference may be given to them who have studied Commerce/ Accountancy/ Business Studies. A candidate must pass in his/her HSC examination recognized by the Government of Tamil Nadu or any equivalent by the Syndicate of Bharathiar University. Qualify in 12th exam recognized by the Government of Tamil Nadu. The student should have a Bachelor's Degree in any discipline from a recognized Indian Unversity. The student must pass in any recognized Bachelor's Degree of minimum 3 years duration in any discipline with Mathematics/ Business Mathematics. They must possess a valid TANCET score or any AICTE recognized Entrance Examination. The applicant should pass in BCA/ B.Sc [Computer Science]/ B.Sc [Information Technology]/ B.Sc [ Computer Technology]/ B.Sc [Software System]. The candidate must have to pass in their UG course in any discipline with any specialization from a recognized Institution. The student seeking admission in M.Sc course shall have to possess a Bachelor's Degree from the relevant course from a recognized Institute/ University. Degree in B.Sc with Mathematics as one the main subject. The minimum eligibility for the candidate is to pass in any of their UG Course in any discipline from recognized Board/ University/ Institute. 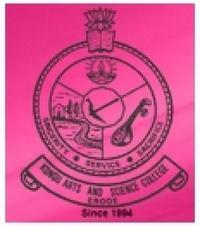 The eligibility criteria is 12th pass in commerce stream for getting into Kongu Arts and Science College. Complete the +2and equivalent no entrance exams 150 above cutoffs 5000. Which are the best colleges for B.Com in Erode ? PLease select the college of your choice and then check the fee structures on the official websites of the college.